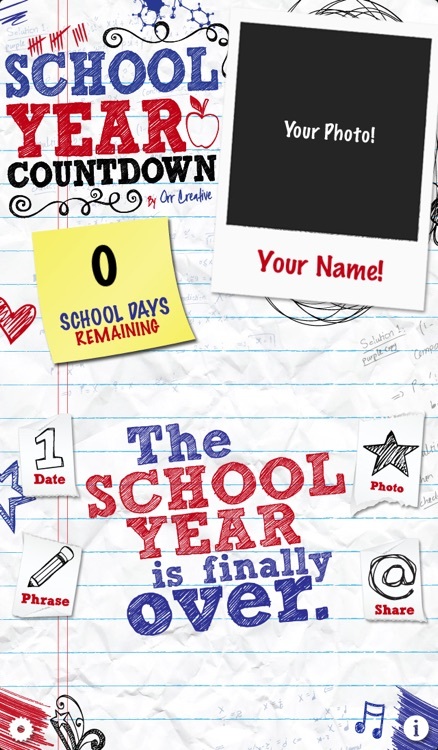 ★ ★ ★ ★ ★ - As a teacher, I love seeing the time count down 'till my holidays! 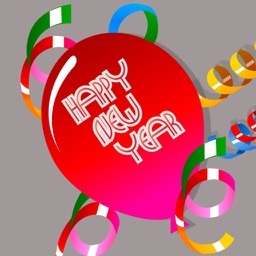 ★ ★ ★ ★ ★ - Great app, must get, its SOOOO great! 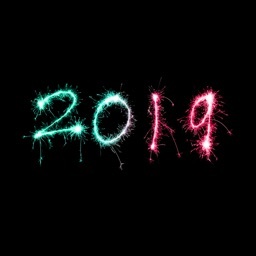 ★ ★ ★ ★ ★ - Can't wait can't wait can't wait! 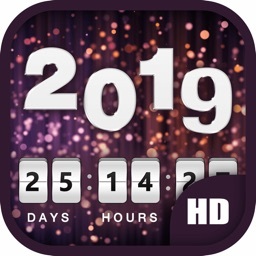 Best countdown app! Countdown to when school is over! 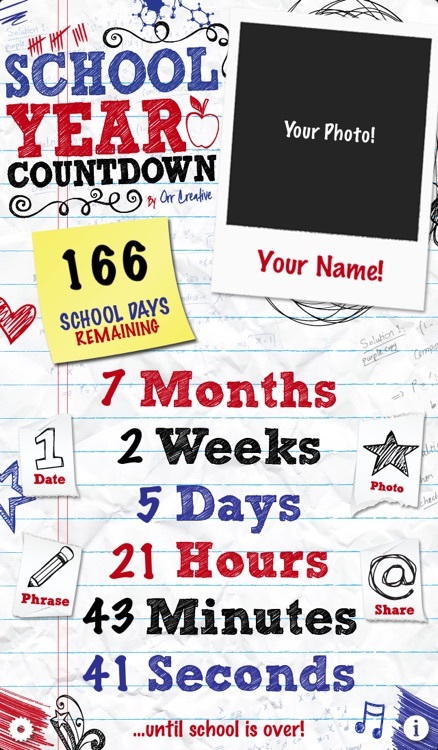 Countdown to the day that classes end with this great School Year Countdown app. Share the countdown via email, text message, Facebook, and Twitter! 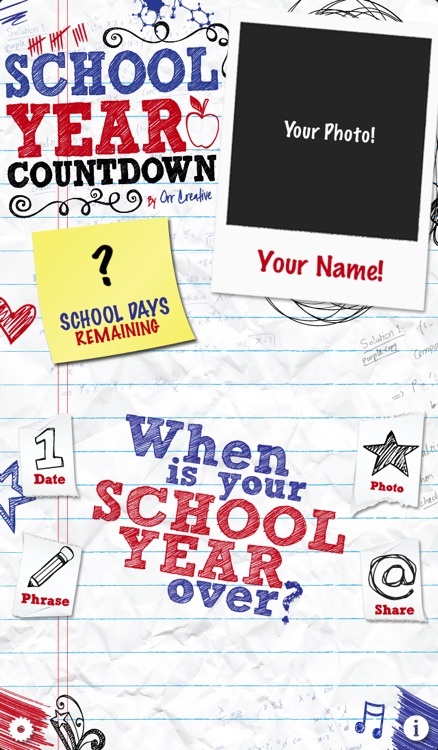 Add your own photo, name and phrase to customize the app as you countdown to the end of school! Set the date of when your classes end and the app immediately calculates the time remaining. Take a picture of yourself with the built-in camera or add one from the camera roll. 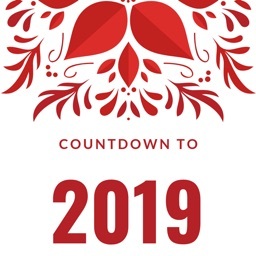 Tell your friends and family how long until you're done school by sending an update via email or text message that includes a screenshot (email and Twitter only) of the countdown, as well as how many months, weeks, days, hours and minutes until classes are over. 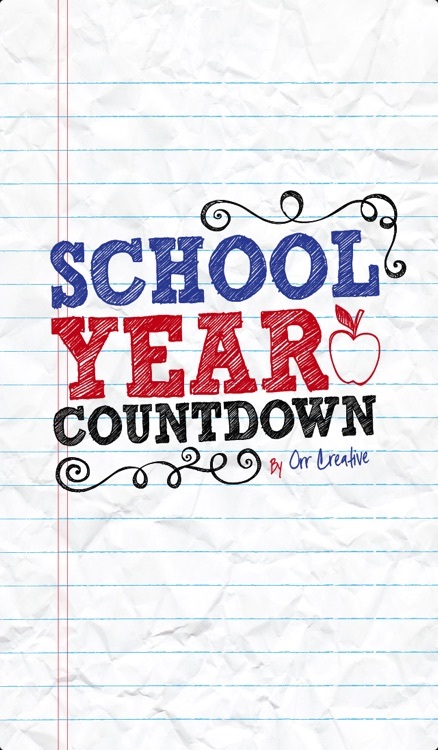 School Year Countdown will send you alerts as often as you wish, to let you know how long until you are officially done school. 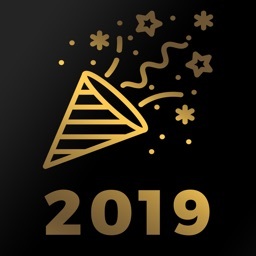 You can also set "Special Occasion" alerts to be notified exactly one year/month/week/day/hour before the school year is over! 5. Share on Twitter and Facebook! 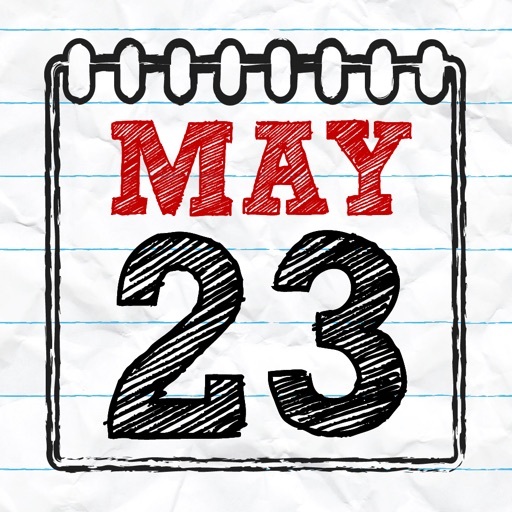 Share your #SchoolYearCountdown status on Facebook and Twitter. 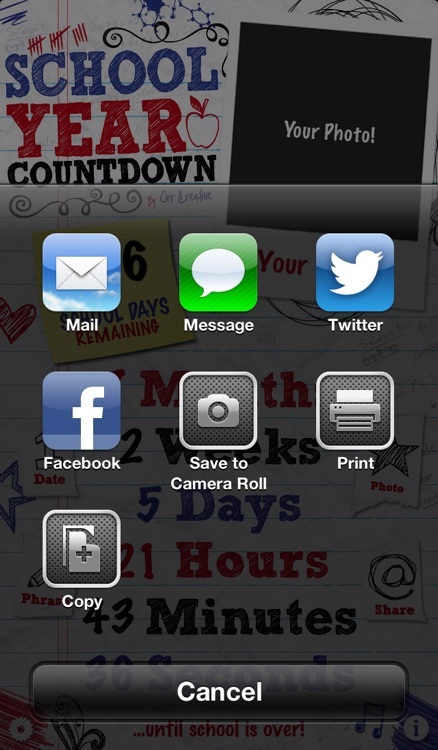 It's all built in for you, the update also includes a screenshot of your countdown as an attachment. Use one of our built-in phrases (e.g. "...until school is over") or create your own! You can also add your name under your picture.